Running is one of the best exercises to lose weight. 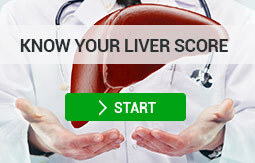 Losing weight can have positive effects on liver health however only if done correctly. Dedication is also an important factor, to learn more about running for weight loss read this article. Why should I run for weight loss? Running is effective for weight management hence supporting liver health. 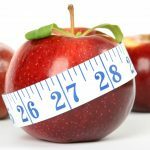 In a recent study by the National Institute of Health, they found that over 1 in 3 adults in the USA are considered to be obese and more than 2 in 3 adults are considered overweight or obese. The recommended amount of moderate physical activity adults need to spend 5 days a week to maintain a healthy weight is 30 minutes and over 60% of Americans are not getting this amount. Overall, studies show that if you want to lose weight, running is one of the better choices because it uses various big-muscle groups that are crucial for calorie burning. Running is effective to reduce body fat and decrease cholesterol. Running increases your average heart rate: 85 percent of the calories you burn from running come from fat if you raise your heart rate to just 50 percent of your maximum. Raising heart rate has many benefits such as weight loss, improved stamina and decreased cholesterol to name a few. The average healthy heart rate for adults including seniors is 60-100 beats per minute. Your maximum heart rate is roughly calculated as 220 minus your age and is the upper limit of what your cardiovascular system can handle during physical activity. Your starting weight plays a significant role in how many calories are burned during a run. According to research from Elizabeth Sadler of Vanderbilt University, a 220-pound man who goes for a two-mile run will burn about 150 calories, while a 120- pound woman will only burn 82. Many people are anxious to start running when overweight due to fear of injury. However, being overweight raises your risk of developing osteoarthritis (the most common joint disorder, due to wear and tear on a joint). Excess weight puts added stress on weight-bearing joints. There are also inflammatory factors associated with weight gain that may contribute to problems in other joints so weight loss is important in preventing such damage. Sports medicine specialist Dr. A Shabi Khan says that biomechanical studies have never proven that running, even marathon running, promotes cartilage damage in a normal knee that has no pre-existing damage. If you are thinking about taking up running for weight loss consult your doctor first. Kevin Davis, a fitness specialist and personal trainer at Loyola University’s Center for Health and Fitness in Maywood, Chigaco says that one of the biggest challenges is not quitting when you do not see results right away. A one-mile run, which takes a new runner 10 minutes, does very little for weight loss or cardiovascular health, though it’s a positive start. “In order to get full health benefits, you need at least 30 minutes each time,” he said. Research conducted at the University of Tampa found that doing steady state cardio such as running on the treadmill for 45 minutes at a consistent pace rather than sprinting helps with weight loss, to begin with. However, your body adjusts to this exercise and you will not continue to lose weight. 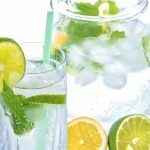 Further actions should be implemented to maintain a higher metabolism. Studies also suggest that people who are running assume subconsciously that they can eat more calories however this should not be the case. Runners have also shown that the rest of their daily exercise such as number of steps, significantly decrease due to fatigue. It is recommended that runners use an activity monitor to regulate the rest of their day. While running is an effective way to shed pounds when executed correctly, this transformation takes place over time and requires a lot of patience. Coupled with other exercise and healthy eating then this will ultimately show better results. 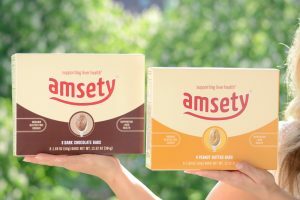 Find out about the vitamins and minerals that make up an Amsety Bar!